Bernie Sanders’ tweet to overturn Citizens United misunderstands the Supreme Court. 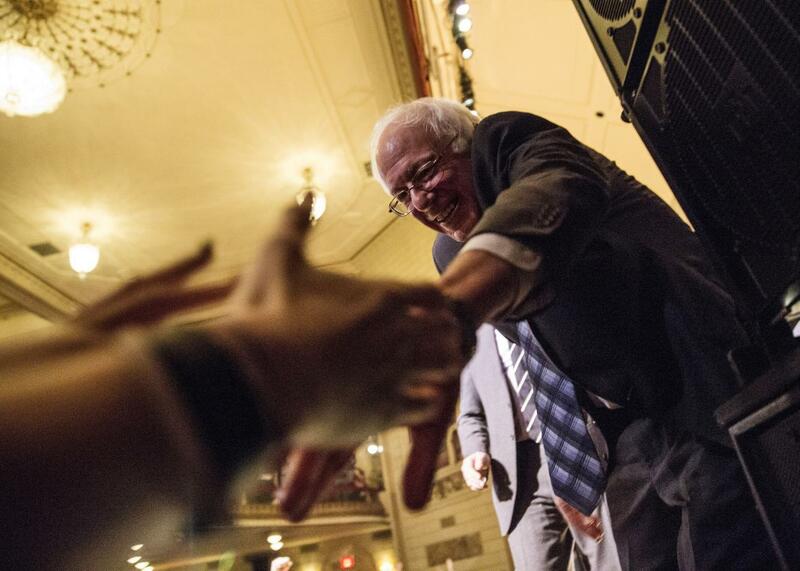 Bernie Sanders would not be able to overturn Citizens United as quickly as he thinks. A nice sentiment for the liberal base! The problem with this tweet, however, is that it either reflects a profound misunderstanding of how the Supreme Court works—or reveals that Sanders is not above intentionally spouting claptrap. For better or for worse, the justices are constitutionally limited to deciding “cases” or “controversies.” They cannot simply review a previous decision and hold, sua sponte, that it was wrongly decided. Instead, the court has to wait for a legal dispute to reach its docket, which typically involves several years of percolation through lower courts. Then, in order to decide the case, four justices must agree to hear it. At that point, a majority of the court (at least five justices) can invalidate or uphold the law in question, affirming or overturning precedent in the process. SCOTUS, in short, is a team sport. Now, it’s true that justices may attempt to expedite certain cases by, say, writing a concurring opinion that screams, “Let me rule on this issue!” Just last term, Justice Stephen Breyer wrote such an opinion questioning the constitutionality of the death penalty, as did Justice Anthony Kennedy with an opinion doubting the constitutionality of prolonged solitary confinement. But still, these justices cannot put their opinions into the force of law until they have (1) actually been presented with a relevant case, (2) persuaded three colleagues to hear such a case, and (3) persuaded four colleagues that their views are correct. A Bernie Sanders nominee (Nina Pillard? Please?) could, in theory, pull such a move with Citizens United. The justice could pen a separate opinion in a tangentially related case calling for a lawsuit that directly disputes Citizens United’s validity. But even then, the justice would have to persuade her colleagues to frame the case as an explicit re-evaluation of Citizens United, since the court is only supposed to overturn a prior decision when it has been fully briefed on the pros and cons. That means a straightforward challenge to Citizens United probably wouldn’t reach Sanders’ justice for several years. Alexander Hamilton famously called the federal judiciary the “least dangerous” branch of government because its powers are largely passive: The court is limited to deciding real, active disputes over constitutional rights, and cannot intervene in some controversy just because it wants to. Sanders’ vision for the court would strip it of this virtue, setting a precedent that won’t please liberals when, in 2024, President Liz Cheney pushes Justice Janice Rogers Brown to overturn Roe v. Wade her first day on the bench. Like Sanders, I would love to see Supreme Court nominees who are not in lockstep with Chief Justice John Roberts’ terrifying quest to obliterate all campaign finance restrictions. But let’s do this the honest way. A politically expedient, probably non-existent shortcut won’t do any favors for our money-drenched democracy.